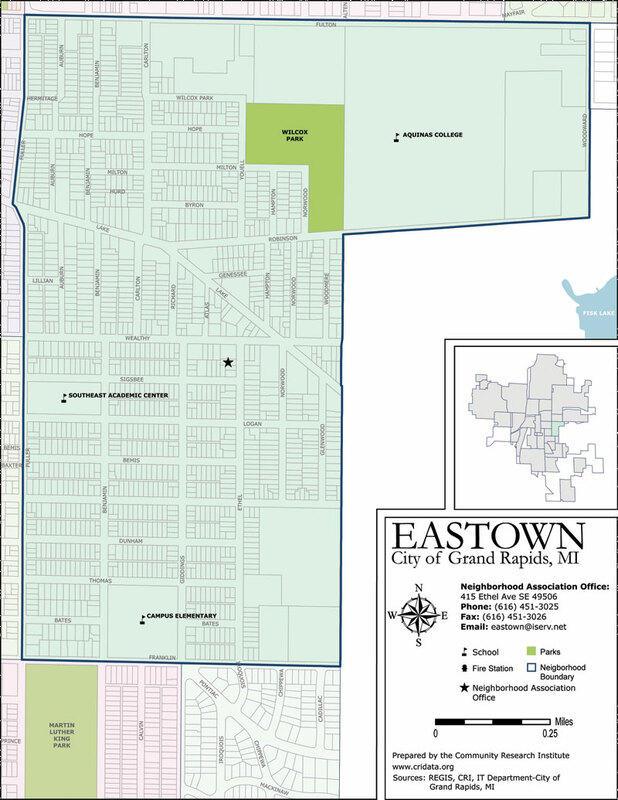 Eastown Neighborhood in Grand Rapids is bounded by Fulton Street on the north, Plymouth Avenue on the east, Franklin Street on the south, and Fuller Avenue on the west. Some of the features of East Town include Wilcox Park. Aquinas College, Southeast Academic Center, Campus Elementary School. East Fulton Business District, and Eastown Business District. Eastown is an ideal spot to find rental housing and something to do every night of the week in the booming business district. This makes it a popular hangout location for college students and working professionals.